This one is from my mom, and it is my all time favorite. And if you don’t want to fry then you can make bhakhari out of it. that too tastes yummy. 1) In a mixing bowl (or paraat/Kathrot) take the wheat flour. 2) Now, add salt, chilli powder, hing, dhania-jeera powder, turmeric and ajwain to it. (Crush the ajwain using your hands for better aroma). 3) Mix well. 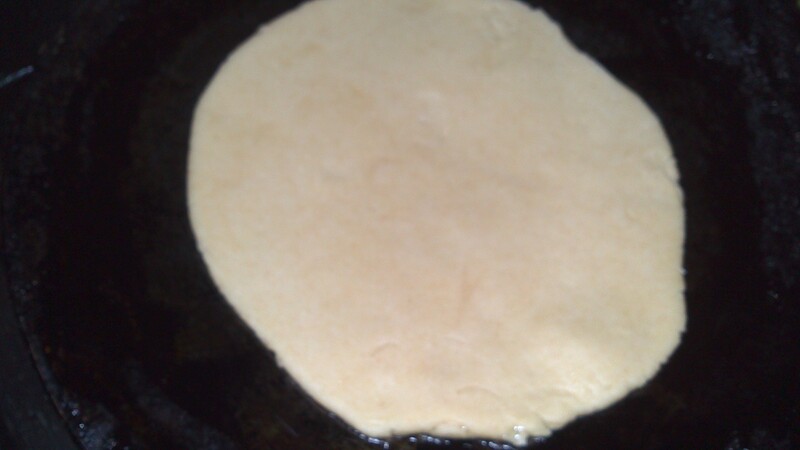 Now, make a well in the center of flour and add oil. Mix well. 5) Heat the oil in Kadai for frying. 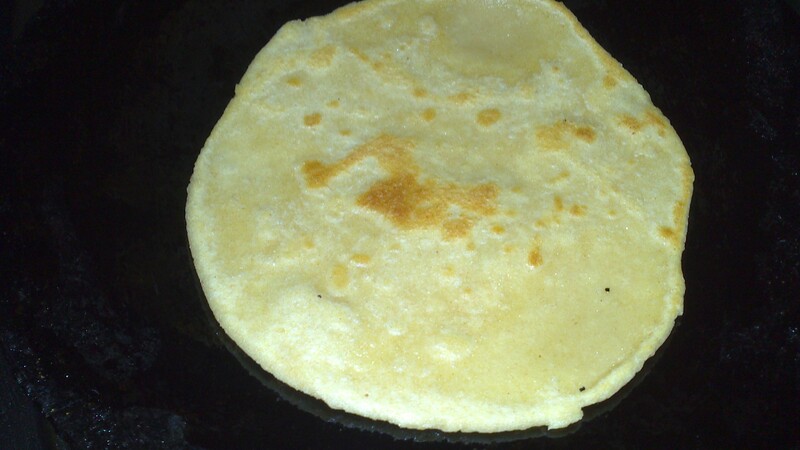 6) Roll out small puris using your chakla belan and fry them in the oil. 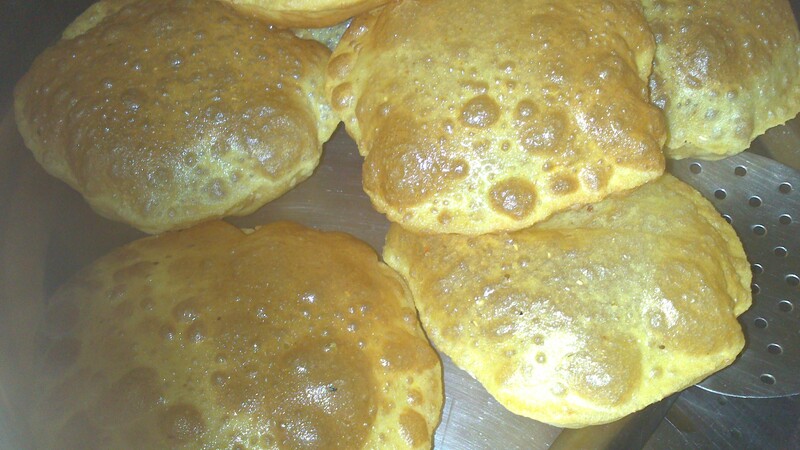 You can also make the crispy version of these puris (They stay ok for a week!!!). 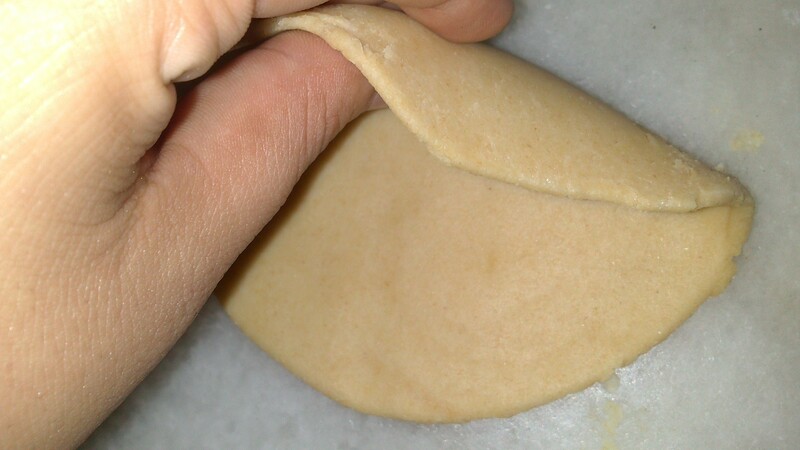 For that you have to put small cuts on the rolled out puri using a knife. 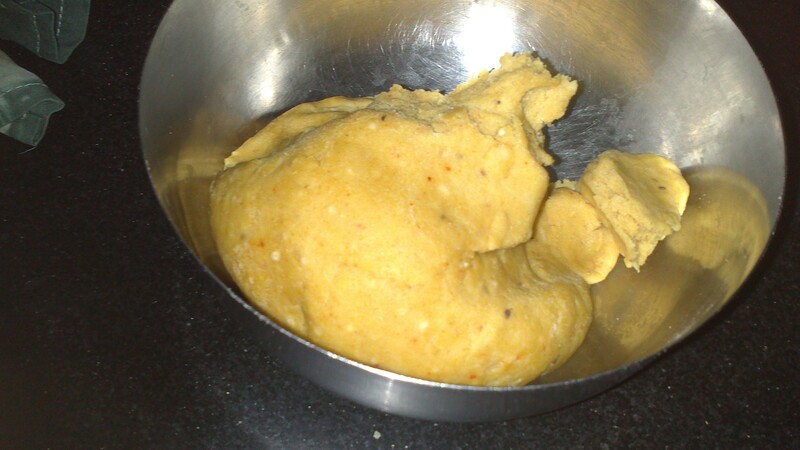 and then fry on a medium flame till the puris turn a little redish in colour. 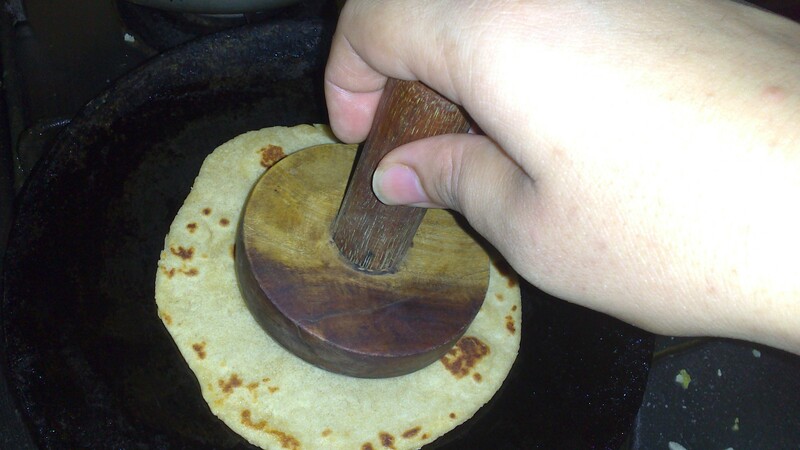 1) Heat a tawa on the gas stove. 3) Now, grease the tawa with little oil. 4) Put the bhakhari on the tawa, carefully. 5) let it cook on one side. 7) let it cook on the other side also. 9) roast on the tawa while pressing the bhakhari using the same spatula or a cloth (or Datto as traditionally used). 10) Do this on both the sides of bhakhari.